ZANDO Designs was an active partner in the design and development of Milton, Delaware’s finest new neighborhood, PRESERVE on the BROADKILL. Libby and husband, Bob Blayney, along with partners, Milton and Barbara Carrow, created a distinctive neo-traditional community overlooking the Broadkill River featuring brick walkways leading to the historic downtown river walks. Libby also designed the Carrow’s new home in PRESERVE on the BROADKILL, working closely with them to see the project through to the final landscaping and finishing details. ZANDO Designs was asked by the Town of Milton to create a design for the new “Mill Park” municipal park which will feature a future life-sized seated statue of the poet John Milton. Libby designed a pedestrian friendly park featuring arbors shading benches along well traveled brick pathways overlooking a spectacular water view and fishing pier area. The park grounds feature many native flowering trees and fragrant plantings. Strolling and relaxing pedestrians can enjoy the poetic view, as they sit, picnic or meet with friends in this lovely new park. …every day we sit and admire our home. Thank you for your tenacity in helping us realize our dream. We have enjoyed your friendship and love that you wanted it to be special for us." Bob has been active in residential and commercial sales and renovations for the past 25 years. Bob’s real estate career was a logical outgrowth of 20 years specializing in residential and commercial market studies for Westinghouse, Boise-Cascade and the World Bank while living in D.C. He was also an active partner in a successful re-development firm, Blayney, Bowers & Thomas. 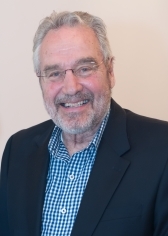 Bob served two terms on the Milton Town Council, has been a member of the Economic Development Committee for 10 years and was a founding Board Member of the Milton Theatre. Bob and his wife Libby Zando moved from Washington, D.C. to Lewes in 1978 and then to Milton in 1988. 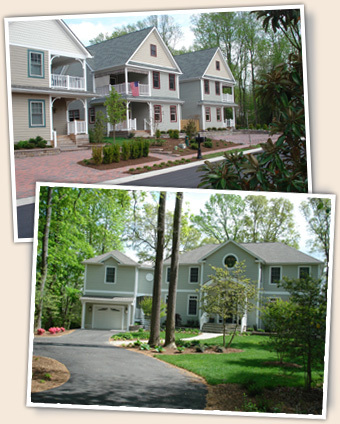 In 2000 Bob & Libby, along with another couple in Milton, developed a unique neighborhood on the Broadkill River. They set-aside 7 acres of wetlands and woods, named Preserve on the Broadkill. The neighborhood created one of the finest neighborhoods just a short walk from Milton’s Historic District, Parks, Boat Slips, Library, Theatre, Restaurants and Shops and has attracted new residents from a number of metropolitan areas. Bob would be pleased to introduce you to the Beach Communities that he has actively supported as well as buy or sell a property of yours, anywhere in Delaware. For a direct link to the MLS listing of Preserve on the Broadkill, click here. "BOB REALLY KNOWS MILTON, LEWES and THE ENTIRE COASTAL MARKET"